Open to all ages and skill levels! You donâ€™t even need any discs - they are provided as part of the Player Pack! 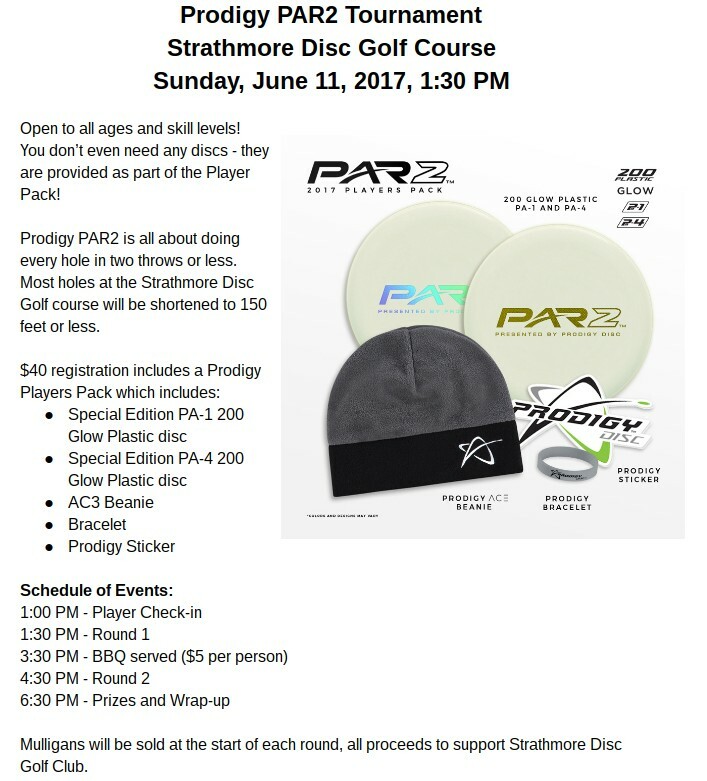 Prodigy PAR2 is all about doing every hole in two throws or less. 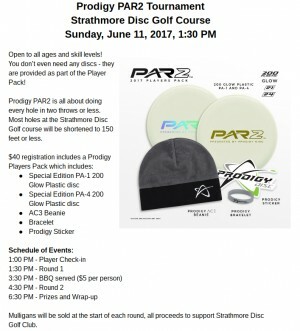 Most holes at the Strathmore Disc Golf course will be shortened to 150 feet or less. Refunds will be permitted up until registration closes. When registration closes, refunds will no longer be processed, however players will receive their player pack even if they don't play.